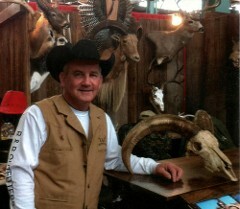 B & B Outfitters is THE PREMIER Texas Hunting Experience. Providing you with 1st Class Texas Hunts!! B & B Outfitters take great pride in our guides. With over 185 years of combined hunting experience in the field, our guides are very knowledgeable of the wildlife and the ranches we hunts. Our guides are very personable and treat each and every hunter with the utmost respect. Bucky started hunting with his dad when he was just 4 years old. He has a passion and desire for hunting and teaching other hunters different techniques of hunting. He has outfitted, guided and hunted all over Texas, New Mexico, Colorado and Wyoming. Since starting B & B Outfitters in 1986, Bucky has been fortunate enough to have hunted with RealTree, Mossy Oak, Dickies, Sportsman’s Warehouse, Cabela’s, Primos and several professional athletes. Bucky has hosted hunts for Catch-A-Dream and the Texas Youth Hunting Foundation. B & B has been in the spotlight of many TV shows and publications, but through the years Bucky still enjoys the family oriented and individual hunts the most. Monte has 33 years of hunting experience. Montie not only known for his hunting passion and skills but his fine reputation of being a hunter of integrity and honesty. He has hunted and scouted elk, whitetail, mule deer, turkey, hogs, ducks, quail, dove, and varmints in Utah, Texas, Oklahoma, Louisiana, Colorado and Kansas . He is a passionate bow hunter. 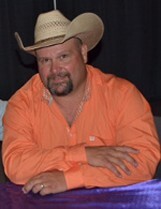 He enjoys sharing various hunting techniques and experiences with his clients that have proven to make for a successful hunt. I have been an outdoor enthusiast all my life, especially over the last 20 years. In that time I have hunted and guided for big game, waterfowl and upland birds across Texas, Louisiana, New Mexico, Oklahoma, Nebraska, and Montana. Although I love to be the one pulling the trigger my true passion is teaching others how and why I have so much love for the outdoors and hunting. If I’m not hunting, you can either find me fishing or training one of my dogs. I’ve been an outdoorsman my whole life and over the last 20 years I have focused as much time as possible learning how to be better hunter and angler. I have hunted waterfowl, upland birds and big game in Texas, Louisiana, Oklahoma, Kansas and Nebraska. I enjoy sharing in someone’s hunting experience just as much as I like hunting myself. I am passionate about teaching people what it means to be an ethical hunter as well as learning as much as I can about the animals I choose to pursue.